Popular for its food and beverage served in a matter of minutes or less than a minute, Minute Burger recently launched a new line of burgers for foodies who wants to have a Taste of the World and for those searching for premium flavors that are principally above in quality and taste, with a very wallet-friendly price tag. I'm glad to know that the burger joint that we all loved for its Buy One, Take One burgers and sandwiches now has more than 400 stores nationwide. Soon they will be celebrating their 35th anniversary. Last week, Minute Burgers invited select foodie bloggers to have a Taste of the World via their newest burger offering: Bacon Cheeseburger, Beef Pizza Burger, Black Pepper Burger & Crispy Chicken Burger. 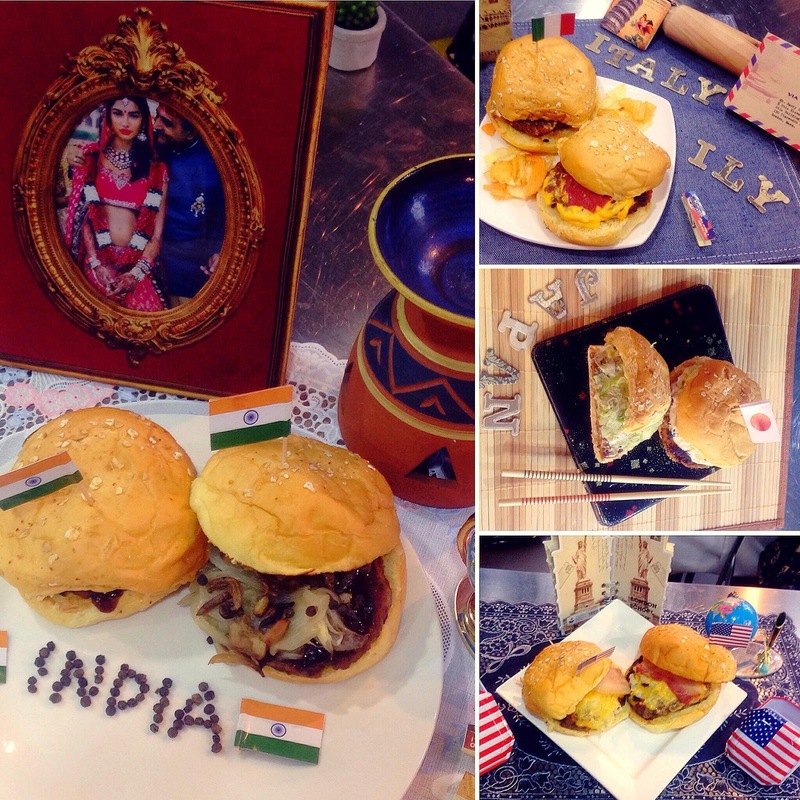 Featuring the unique flavors of Japan, India, Italy and USA. Prices starts at P61.00 for a pair of burgers. They even had a impromptu but fun food styling challenge for blogger attendees. We were divided into four groups representing the four countries. Team Italy won! A noticeable upgrade is that all four flavors have been enriched using a Brioche bun. Tastier, creamier, and even more tender that the original oatmeal-sprinkled premium, Brioche is greatly considered a better substitute for normal bread. “The new Brioche buns supremely enhances the overall taste and presentation of all four BIG TIME sandwiches, making our premium burgers more inviting and mouth-watering,” said Odie Dela Cruz, the Brand Manager of Minute Burger. “As a brand, we always think of different and creative ways of fulfilling our Sulit Sarap Kasama promise to all our customers. Our Taste of the World campaign justifies our commitment to always surprise, delight, and excite our loyal customers with premium products that are within reach of every Filipino consumer,” he added. 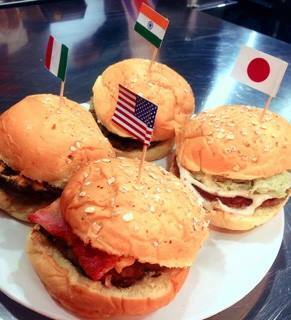 “We are proud that Minute Burger is the only quick service food shop that is serving a variety of sandwiches inspired by flavors that are popular in the countries with established culinary reputation, topped by a premium bread that has been famous for ages!” Dela Cruz exclaimed.